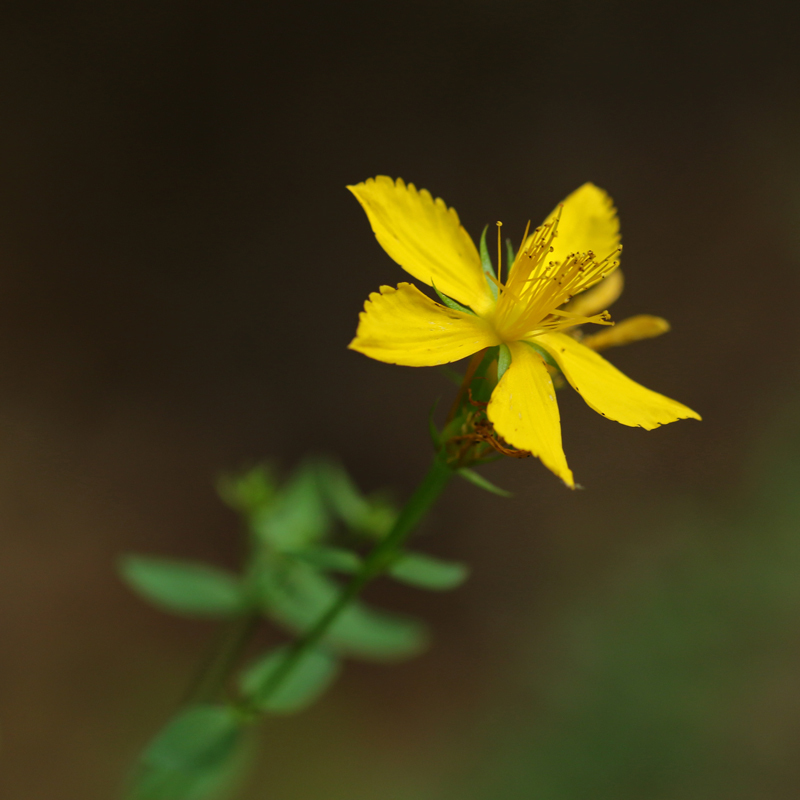 Common St. Johnswort is NOT a native plant to Sutton, but it's probably been here for hundreds of years. 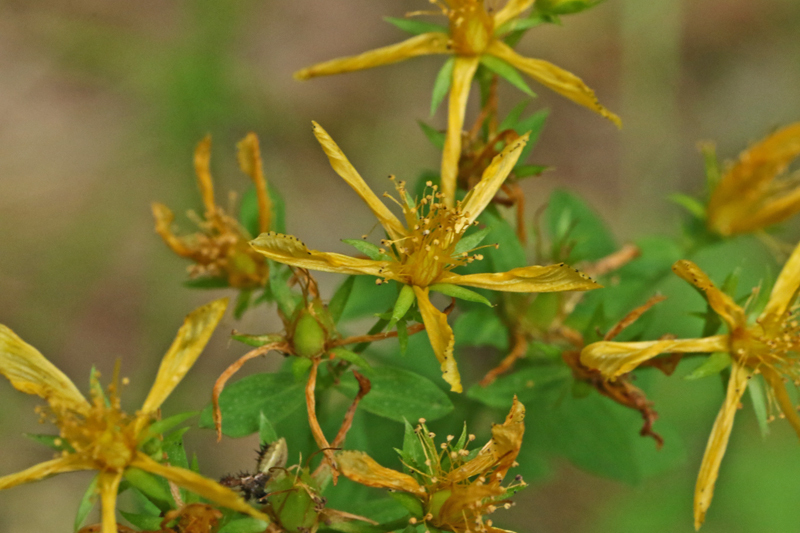 St. John's Wort is a classic medicinal plant found throughout Europe. It has a beautiful five petal yellow arrangement with a sprout of yellow "fireworks" from its center. The word "wort" is a generic term for plant in Europe. 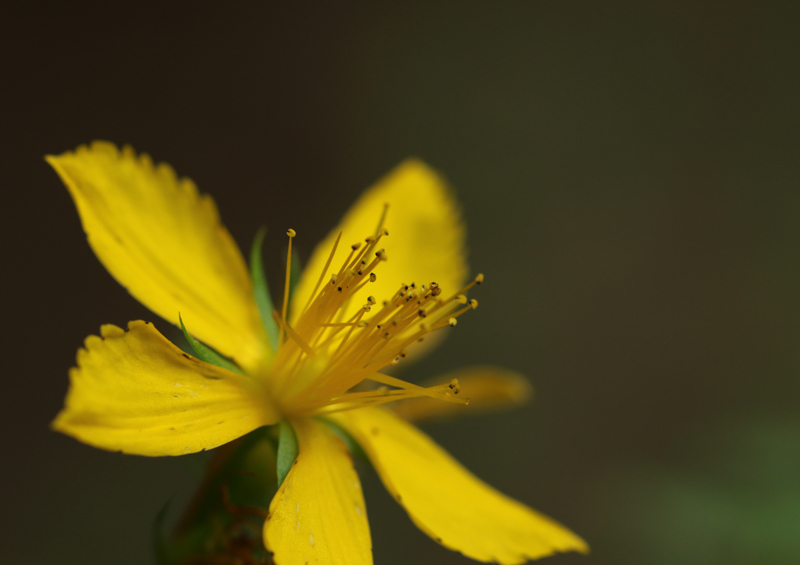 The reason it's called St. John's Wort is that in Europe it is traditionally harvested on St. John's Day which is June 24th. Because it was in bloom on this day, tradition was to hang it in the home on the 24th to ward off evil. The entire flower is fairly tiny - it's only maybe an inch in diameter. The flowers are in ones or twos off a tall central spike with thin, oval leaves. The flower is fairly tall - up to two feet tall. This flower blooms from around June through September. I took these photos here in mid-July. 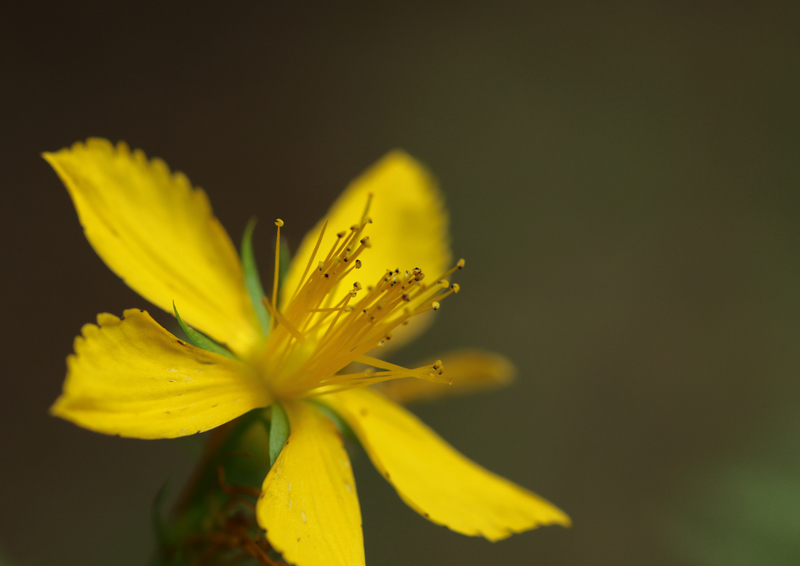 Many feel that St. John's Wort is helpful with depression symptoms. However, other studies seem to show it is a placebo effect. The plant can be dangerous to grazing animals if they eat too much of it. 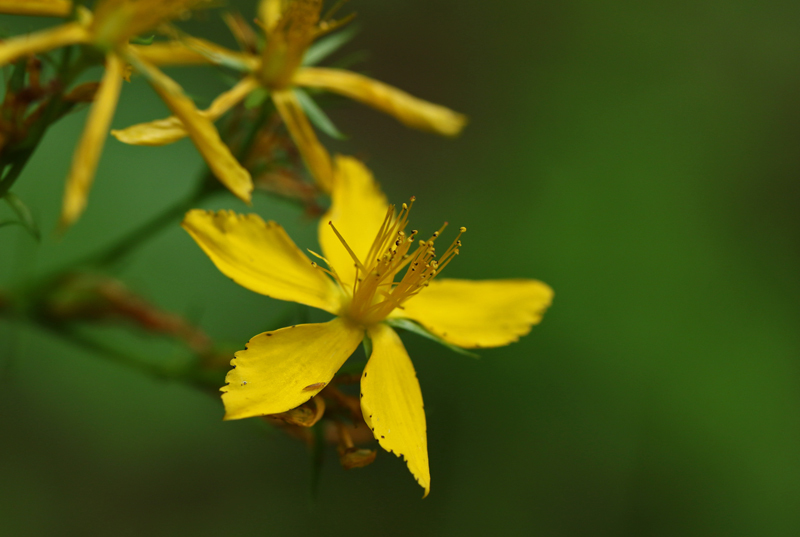 St. John's Wort is an intersting plant in that it's pretty when it's in bloom and it's also pretty when the leaves dry up. They then form more of a "star" effect which is quite cool.